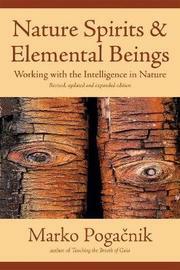 Based on firsthand practical experiences of communicating with natural spirits through meditation, this eye-opening guide to healing the earth teaches how to work with elemental beings by describing each in detail while defining their roles within the web of life. As a result of tuning in to plants, trees, and animals, and illustrating the disrupted flow of energies within the landscape, the true impact of human culture upon the harmony of the natural world is evocatively revealed. Insight into related topics, such as how the long-suppressed Goddess culture embraces these energies to make strides toward healing the earth, can set anyone with earth and landscape concerns-gardeners, growers, designers, and builders-one step closer toward becoming environmental warriors.